One way many builders choose to bolster sales and/or limit cancellations is by providing incentives that sweeten the deal for home buyers. The popularity of these incentives, however, is very much tied to the cycles of the housing industry. 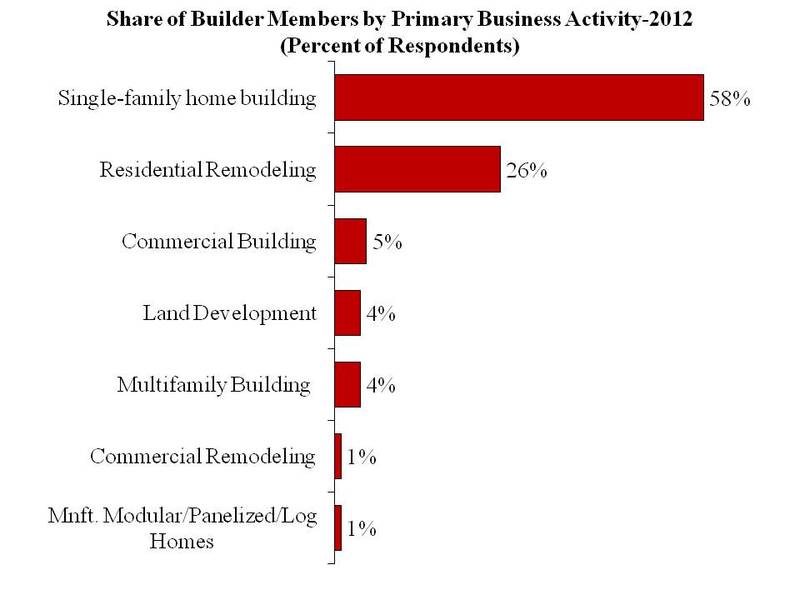 A survey of NAHB’s builder members found that 36 percent are not offering any kind of special incentives in October 2013, a share that is 2.5 times larger than it was in December 2008 (14 percent) during the housing bust, but is closer to the 42 percent who offered no sales incentives in September 2005 in the midst of the housing boom (Figure 1). The incentives questions are appended to the monthly survey that produces the NAHB/Wells Fargo Housing Market Index. 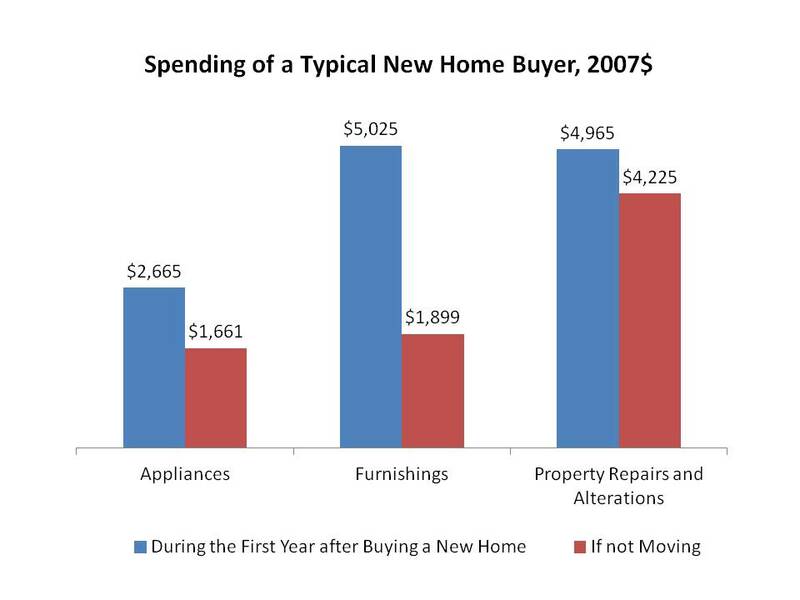 Offering options or upgrades at no or reduced costs is generally one of the most popular ways builders attract buyers. 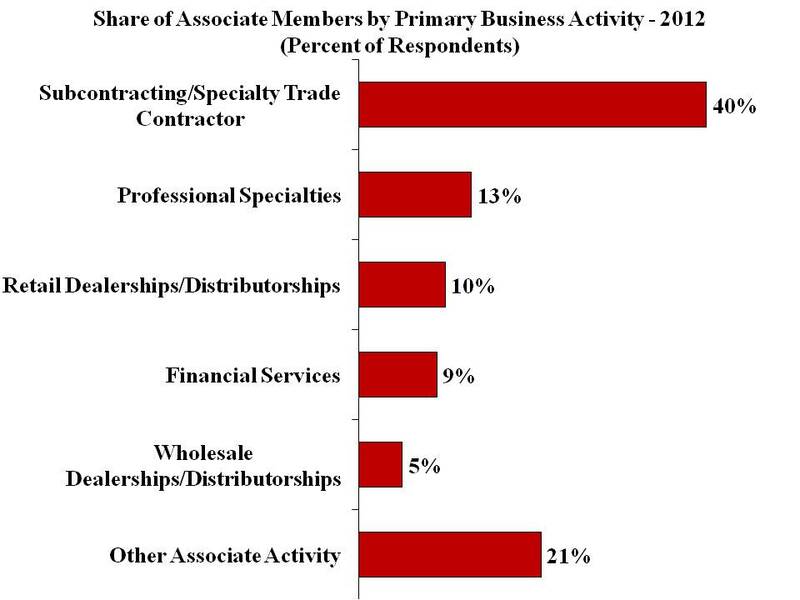 In the latest survey, 37 percent of builders said they are currently offering such options, essentially the same share as in 2005 (35 percent), but significantly lower than the 67 percent who offered them in 2008. 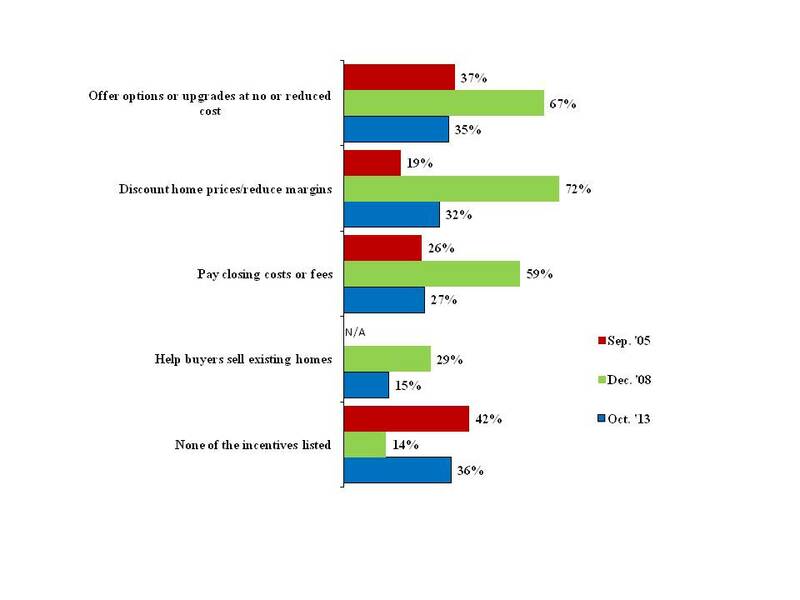 Another way builders incentivize their prospective buyers is by offering to pay closing costs or fees. Similar to offers of free or reduced cost options, the use of this incentive has eased to 2005 levels. In the recent survey, 27 percent of builders report paying closing costs for their buyers, less than half the 59 percent who did so in 2008, and more along the 26 percent using it as an incentive in 2005. Discounting home prices or reducing margins, meanwhile, is still being done by 32 percent of builders to bolster sales. Although this is a larger share than in 2005 (19 percent), it is nowhere near the 72 percent who were lowering prices at the end of 2008. The 2005 survey did not ask builders if they were helping buyers sell their existing homes, but it became common enough to make it on the survey by December 2008 – when 29 percent of builders reported doing it. 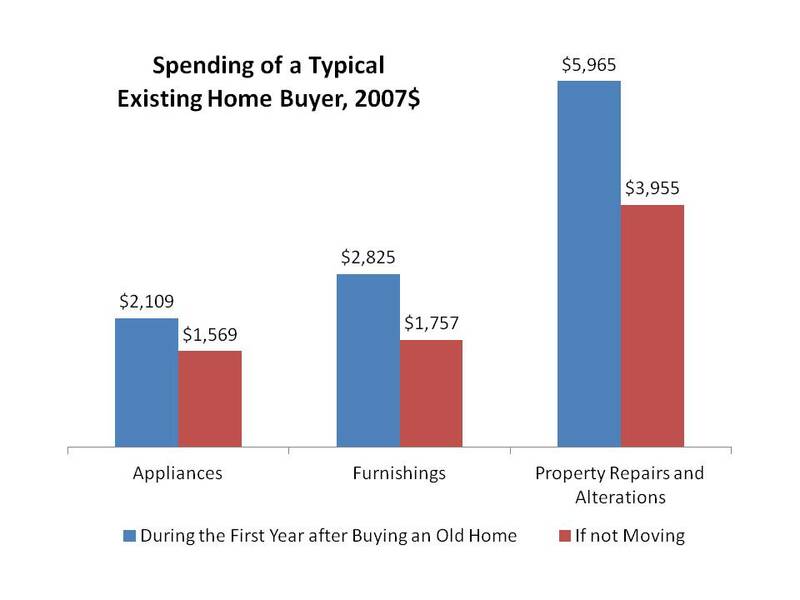 By 2013, only 15 percent are still helping sell the buyer’s existing home. 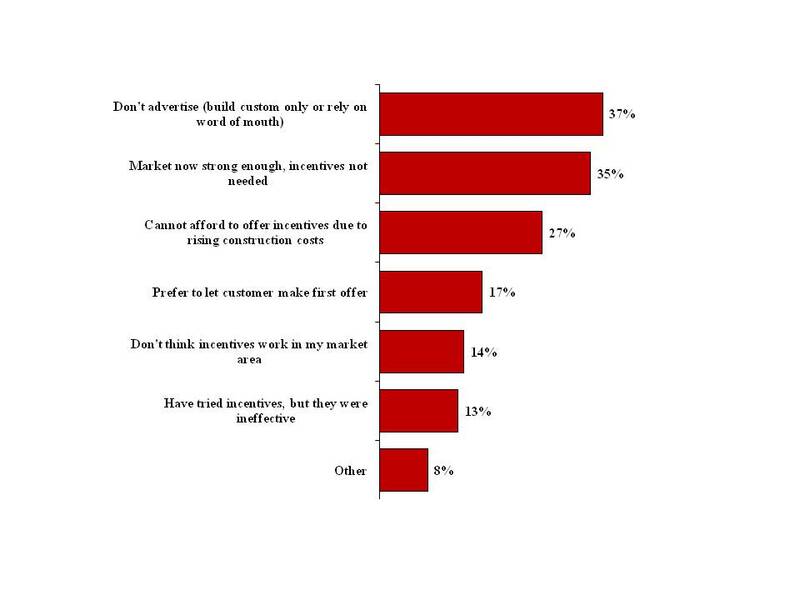 Among those builders not currently using any special sales incentives, 37 percent indicate the reason for not doing so is because they “don’t advertise – only build custom homes and rely on word of mouth,” another 35 percent explain it is because the “market is now strong enough and no incentives are needed,” while 27 percent say it is because they “cannot afford to offer incentives due to rising construction costs” (Figure 2). Figure 2. If not using special incentives, why not? It remains to be seen if the use of these incentives continues on a downward trend or if their use reemerges once again. The strength and pace of the housing recovery will determine it. The full report on the survey about use of incentives is available here. This week Dr. Joshua Miller joined the staff of the Economics and Housing Policy Group here at NAHB. Among other research responsibilities, Josh will be working with NAHB’s local economic impact model, which estimates job creation and economic benefits that flow from home building.